UK-based travel agents are now better equipped to attract clients as they learn more about destination Seychelles through the Seychelles Tourism Board’s (STB) “Seychelles Discovered Roadshow” hosted from March 12, 2019 to March 14, 2019. The group, led by STB Director for UK and Ireland, Ms. Christine Vel, took to Chester in the north of England, and Glasgow and Aberdeen in Scotland, to promote the tropical island nation. Onboard the team was also Marketing Executive, Ms. Eloise Vidot and other local partners. The three-city roadshow, saw the presence of 115 agents, all interested in learning more about the destination famously know for its beaches and sustainable tourism. Few of the agents present have already visited Seychelles and are actively selling the destination; the three-day roadshow was the perfect opportunity to provide the agents with as much information about the Seychelles islands. A networking cocktail was organised at the start of the evening, in each city, allowing the local partners to go around and chat to the agents before taking them on a journey of the amazing Seychelles islands and its products. Some lucky winners also won a week’s holiday in the Seychelles sponsored by the various hotel partners represented on the tour. Representing Coco de Mer hotel & Black Parrot suites was Mr. Ash Behari, Crystal cruises saw the presence of Mr. Jon Schofield, from Denis Island & Carana Beach, Ms. Bessie Etienne, The H Resort Beau Vallon Beach was represented by Mr. Sherif El Mansoury. Ms. Rizwana Hamayun represented Kempinksi Seychelles, Mr. Gerhard Louw was from Maia & Paradise Sun and representing The Hilton Seychelles hotels were Ms. Devi Pentamah and Mr. Anthony Smith. Ms. Vel mentioned her satisfaction to see that the destination remains very popular on the UK market; she commended the active participation of the Tour Operators and Travel Agents present at the events. “Once again this year we had an amazing turn out of agents wanting to broaden their knowledge of our destination,” said Ms. Vel. ‘Seychelles Discovered Roadshow’ is held twice annually in March and October. The next edition for 2019 will be held between October 28 to October 31. 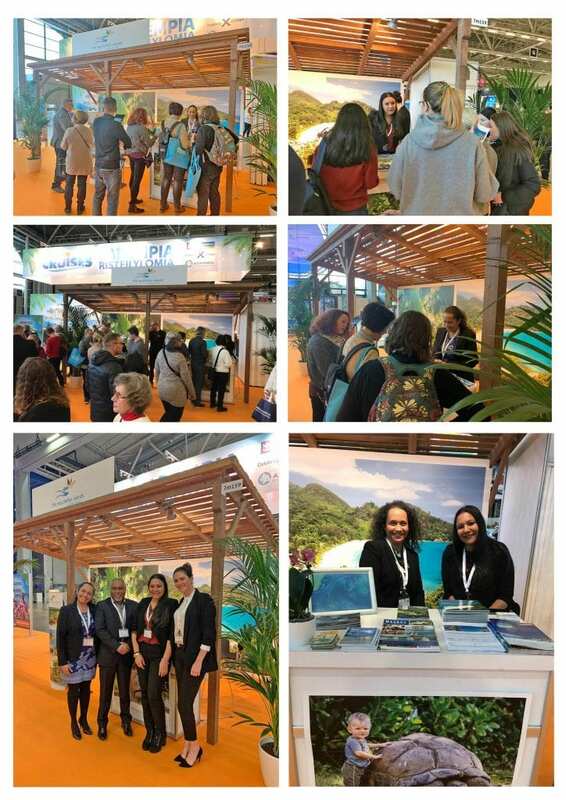 The Seychelles Tourism Board team in the Nordic Regions brought some sunshine to cold Finland as the Seychelles destination was represented at the MATKA Nordic Travel Fair 2019. The Matka trade show, which is the largest travel fair in the Nordic Region, was held in Messukeskus Helsinki from January 17 to January 20, 2019. It’s the main travel platform in the region where everyone meets to conduct business. 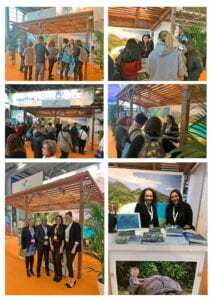 During the 4-day event, the Seychelles Island stand, which consisted of the Seychelles Tourism Board (STB), team members alongside other trade partners was located in the ‘Sun & Sea’ themed area together with other exotic destinations. The opportunity allowed the team to actively entice visitors to get to know the Seychelles Islands. The delegation comprised of STB Marketing Director for Nordics, Ms. Karen Confait and Marketing Executive from STB headquarters, Ms. Melissa Samardzija, Mr. Ash Behari from Coco de Mer Hotel & Black Parrot Suites and Ms. Amy Michel representing Mason’s Travel. The other participating partner on the STB stand included Finnish Tour Operators “Mr. Travel”, who was also present to assist with the promotion of the destination and offer their services to Nordic customers willing to visit Seychelles. Several other operators also provided flyers with special offers, which were important as clients were looking for prices and packages. The first two days of the trade show were mainly dedicated for trade professionals (B2B), whereas the remaining days saw a high attendance of the public in general. 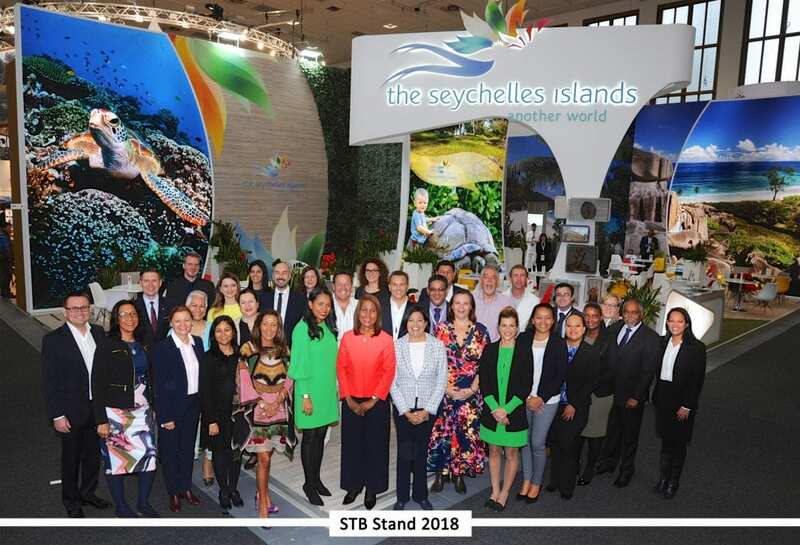 Ms. Confait mentioned that they noticed that many visitors who visited the STB stand for information, had already booked their trip to Seychelles, while others were shopping around to decide on their next holiday destination. On the first day of the fair, STB in partnership with Emirates hosted the main Finnish trade partners to a networking dinner, a small token to thank them for their continued support on the market and to encourage them to keep Seychelles in mind while proposing holiday destinations to their clients. Talking about Seychelles participation at Matka 2019, STB Marketing Director for Nordics, Ms. Karen Confait mentioned that the STB team took the opportunity to meet several regular collaborators including Qatar Airways, Emirates and Turkish Airlines as well as our main trade partners from both Finland and Sweden. She also commented on her satisfaction at the volume of people visiting the stand this year. “It is very encouraging to see that the destination is thriving in the Nordics. Each year we have seen the growing interest and Matka is the ideal platform for us to meet our main partners at the beginning of the year to discuss the action plans for the year as well as to continue to build and strengthen our relationship with the travel trade” said Ms. Confait. The Matka Trade Show 2019 recorded a total number of 64,589 visitors compared to 63,599 visitors in 2018, showing an increase of 1.56% in the number of visitors attending the show this year.